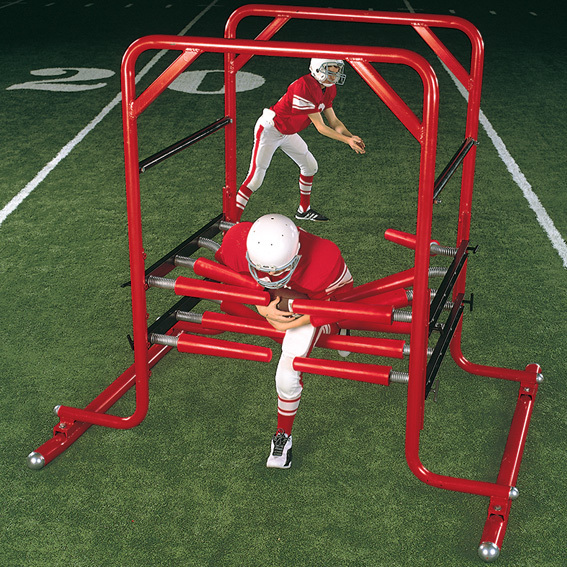 The YOUTH SLED is designed for “pee-wee” football where the weight range is 60 to 120 lbs. and the age range is 10 to 12 years old. 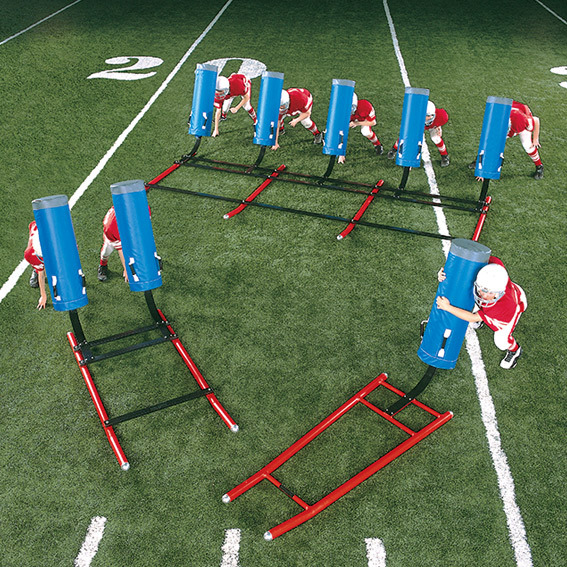 Scaled down in size and weight to fit the needs of “pee-wee” players. Features a lighter steel chassis and modified springs with reduced tension. 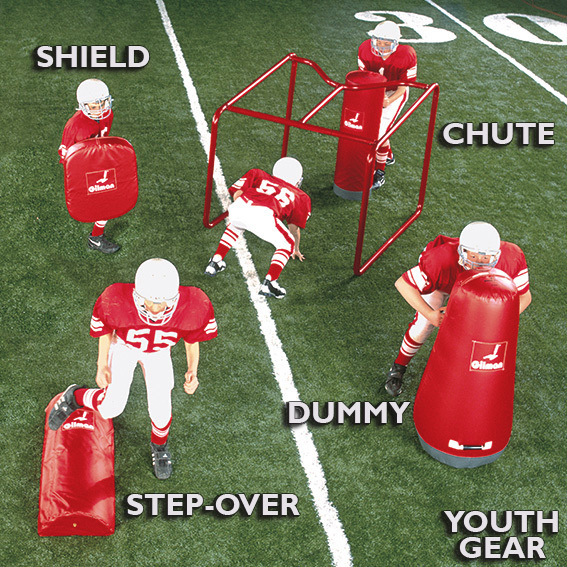 The modified spring offers the correct pad level for “pee-wee” players. "The coaching point is to teach youngsters the basics of stance, weight transfer, and blow delivery!"